We don’t see many Big Ideas any more. Content may be king, but content is forgettable, millions of tiny ideas in a million different places. Can anything new be said about a product? Or an industry, like the advertising industry? Well, I’m not a creative — more like a dreaded management consultant. Nevertheless, here’s a cross-industry Big Idea, free for the asking: Ad agencies are just like cruise ships! Don’t dismiss this out of hand. Read on! Unlimited portions. Cruise ships offer all-inclusive drinks and all-you-can-eat buffets, just like agencies with their Scopes of Work. Well-fed customers are happy customers, it is thought. There’s nothing better than coming back for seconds and not having to pay. Besides, it’s too complicated to account for food on a per-customer basis. Better to load up the serving line and let ’em come ’til they’ve had their fill. Build in the cost, if you can, in the all-inclusive price. Be known for all-you-can eat. You can cut the quality, but never the quantity. Whatever you do, don’t lose the customer. Big fixed costs. It costs a lot to keep a ship afloat. The ship must be on the move, filled to capacity with fee-paying customers who want nothing more than to be entertained, fed and amused until their next big cruise. An empty stateroom is lost revenue and uncovered overhead — completely unacceptable. Fill up the ship! Do what you must to keep it full and on the move! If you’re an agency, sell those man-hours, even if they’re for crappy projects. Discounting. Discount if you must, even if the discounts don’t quite cover the free booze, unlimited meals and SOW deliverables. Watch out, though, for over-discounting and attracting the wrong kind of customers. Once you get the reputation for being low-priced and down-market, you’re stuck — you can’t inch your way back to premium pricing. Ad agencies know this from their experience — many agencies are “commodity suppliers” paid at commodity rates. All they can do is sell man-hours at any price to cover fixed costs and deliver profits. Excess capacity. Growth is on the wane in the West, and China is the hope to sop up excess capacity. According to The Economist, “the big three [cruise operators] are now piling into China.” That’s just like the holding companies! Let’s hope that growth in China does not flag. Otherwise, we will see a buyer’s market throughout the world. Closer to home, “excess capacity means great deals on Caribbean cruises!” Unilever, Nestle and P&G are finding the same thing in advertising. Great deals are everywhere. Agency prices have never been lower. Creative awards. Who won the coveted 2017 “Cruisers’ Choice Awards” in each of twelve categories? Who won at Cannes? Royal Caribbean’s Allure of the Seas won the “Best for Entertainment.” Interpublic’s McCann Spain won the “Grand Prix in Entertainment.” Fun! Operations. Above deck, cruise ships and ad agencies provide food, entertainment and creativity. Below deck, we must never forget the ship’s company and the officers who keep the ship on course. They avoid Titanic-like icebergs and keep the machinery running. This requires discipline, professionalism, seniority and common sense. Downsizings. 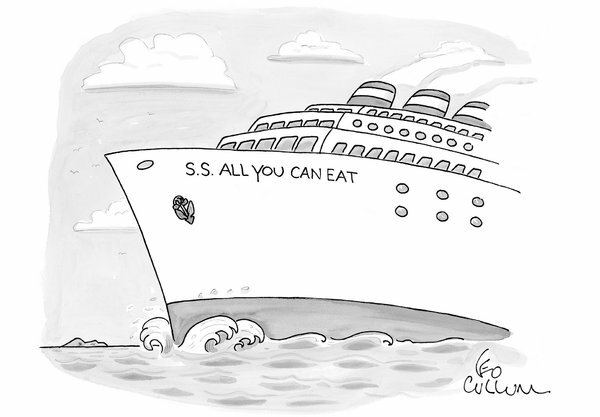 Unfortunately, though, cruise ships and agencies downsize and juniorise to keep costs down in the face of all-you-can-eat price competition. This increases the risk of operational accidents. Not all captains are up to standards, as we learn from time to time. Rough weather. For cruise ships, 2016 had its moments. Anthem of the Seas ran into high winds and rough seas, “forcing frightened passengers into their cabins as their belongings flew about, waves rose as high as 30 feet, and winds howled outside.” Agencies face the same in 2017. 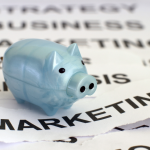 “Agencies Brace for Impact as Marketing Clouds Loom,” reported Ad Age. Prognosis. Can cruise ships and agencies stay out of harm’s way, or will they end up on the rocks like the infamous Costa Concordia? In advertising, securities analysts are pessimistic. 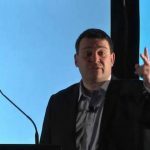 Pivotal Research’s Brian Wieser downgraded the valuations of the entire publicly traded ad sector, including Interpublic, Omnicom, Publicis and WPP. All-you-can-eat pricing is taking a toll. The S.S. All You Can Eat is headed for the rocks!